Things to See & Do at Kaikoura, New Zealand - The Pier Hotel. 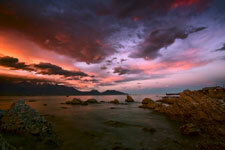 Things to see and do around Kaikoura. 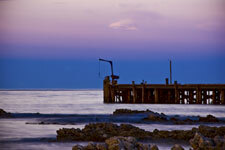 Tucked into the shelter of a peninsula jutting out into the Pacific Ocean, Kaikoura has many water activities to offer. Fur seals lounge on rocks just metres from the shore, dusky and Hector’s dolphins frolic in the sea within sight of town, while only a few kilometres further out, giant sperm whales haunt the depths. The sperm whale can be seen all year round off Kaikoura and is the third largest whale in the world, only beaten by the blue and fin whales. 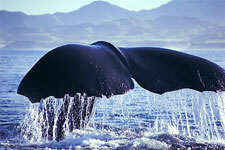 Whale watching in Kaikoura is a real must do and the experience is simply legendary! Whale Watch: World-class nature experience – get on a boat and go out to find the whales. Run by Kati Kuri, a sub-tribe of Ngai Tahu iwi, Whale Watch believe their business is an extension of their cultural values: conservation and harmony with nature and interdependence between man and nature. Award-winning…multiple awards! Kaikoura Kayaks: Guided tours, kayak school, kayak hire. Get up close with sea life….fur seals, dolphins, birds. Kaikoura Coast Track: 3-day 40km walk along the coast, accommodation in cottages with hot water and flush toilets, meals supplied if you want. Maori Tours Kaikoura: Intimate small group tour of ancient sites, story telling, bush walking, learning about native plants, customs and protocol.